Hi everyone, Michael here. As most of you know, I’m the coordinating editor for NeuroQueer Books, which means I manage the calendar and help shepherd our releases through production, making sure we have the art and other resources we need when it comes time to publish. Today, I’m happy to announce that two out of our three March books have their art in place already, so I’m going to show them off for you. 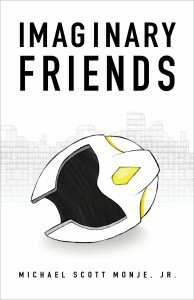 First off, we have my next novel, Imaginary Friends. For those of you unfamiliar with the premise, the book follows autistic protagonist Clay Dillon as he begins the second grade and navigates the complex family dynamics that come with both religious education and the coming of a new sibling. Along the way, Clay’s powerful imagination brings his lessons to life. Sometimes this brings him a new understanding that allows him uncommon insight into the people around him. At other times, it produces such overwhelming thoughts that he is unable to do more than cope with the output of his brain as it wrestles withe multiple immediate perceptions. 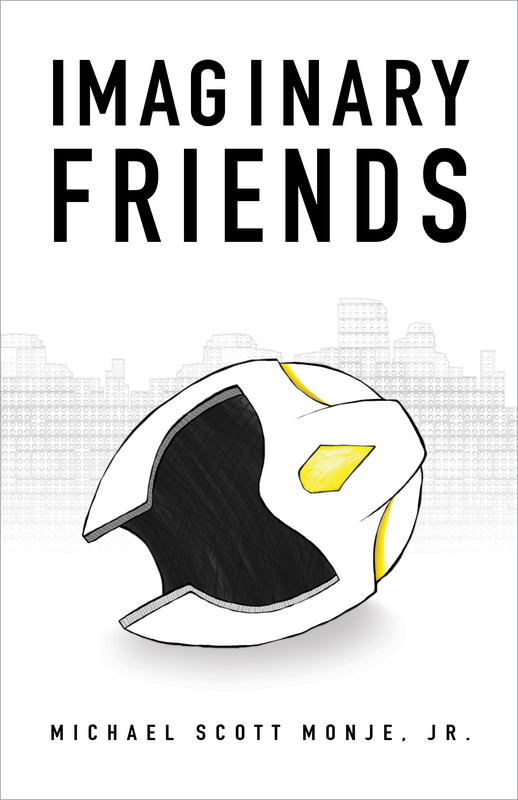 For the cover, the artist (Chris Henry) chose to craft Van’s helmet. Van is one of Clay’s most immediate imaginary creations, and he played a big role in both this book and my first novel, Nothing is Right. In the background, we can see the skyline of Clay’s LEGO fortress in silhouette, so it doesn’t give up its details. To learn more about the story, feel free to start reading the rough draft as it finishes up on my blog. The chapters will stay up for about a month after the serial concludes, and then the fully edited final cut will be ready for you in March. 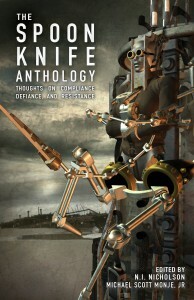 March also brings us our first NQ Books collection, The Spoon Knife Anthology. I’m editing this one with N.I. Nicholson of Barking Sycamores, the literary journal for the discussion of neurodivergent literature and craft. Our third release for the NQ Books launch will actually be a Barking Sycamores collection that will bring together many of the writings from the first four issues. That book is set to be a fundraiser for the journal, and we hope it allows us to build a long and fruitful relationship with the outlet while helping the editors gain the funding they need to develop the publication further. The Spoon Knife Anthology is no fundraiser, though. Instead, it is our first literary collection, and the first paying collection under our anthology funding program. As we’ve explained elsewhere, this program works by paying writers a work-for-hire rate for their work in collections and then setting aside the 15% that would normally be paid in royalties, putting it into a special fund. That fund then becomes the pool of resources for future books, ensuring that each passing anthology helps to make the next one bigger, better, and better paying for our writers. Our first volume will pay out at 1 cent per word, with a guarantee of a $5.00 minimum for each accepted piece. This was the highest rate allowed by our funding from Typed Words, Loud Voices, and it is a method of payment that makes it easier for us to control the book’s length and guarantee both quality and diversity in the selections.